My Social Studies teacher seems to really like Will Smith. A little while ago we watching I Am Legend for some unit on disease or something like that. Then he told us that we'd be watching a movie about robots. And I immediately think I, Robot. To my non-surprise, he got the DVD out so we had to watch it. Instead of Blade Runner. I actually wanted to see Blade Runner. It's 2035, and robots are everyday objects, programmed to live alongside humans. 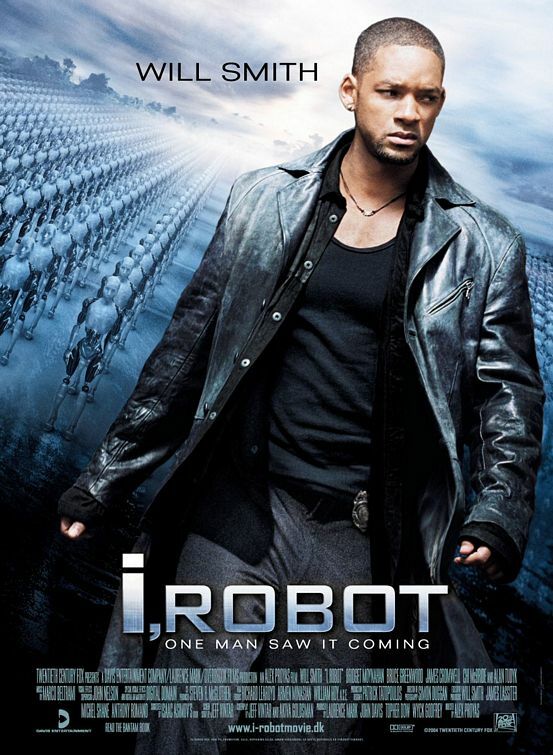 Detective Del Spooner (Will Smith) is called out to investigate the apparent suicide of the scientist behind these robots, Dr. Alfred Lanning (James Cromwell). Spooner suspects that the death might not be a suicide, but the result of one of the robots. All robots are programmed by three laws, but Spooner starts to wonder if a robot can in fact feel emotions, and possibly murder. If Spooner's suspicions are true, he is going to have a hard time convincing everyone. Okay, there had always been a problem with watching movies in class. I think everybody is too afraid to admit they like it because someone else will hate it so they feel they have to as well. That's why I hate watching movies in class. To be honest, I didn't think much of I, Robot, but then again, I didn't think it was too bad. Sure, it suffers from the doomed Hollywood formula. Some of the stuff in it is pretty stupid, i.e. the scenes where Will Smith is shooting at stuff, which is done in corny slow-mo. But, as I haven't read the source material, I found this quite interesting and a pretty strange look at the way the world could become within my lifetime. Will Smith proves that he is just out to get the money, again, but may be just talented enough to carry an average blockbuster singlehandedly. I wonder if Clash of the Titans would have been better if he were in it? Average sci-fi blockbuster, carried by Will Smith.